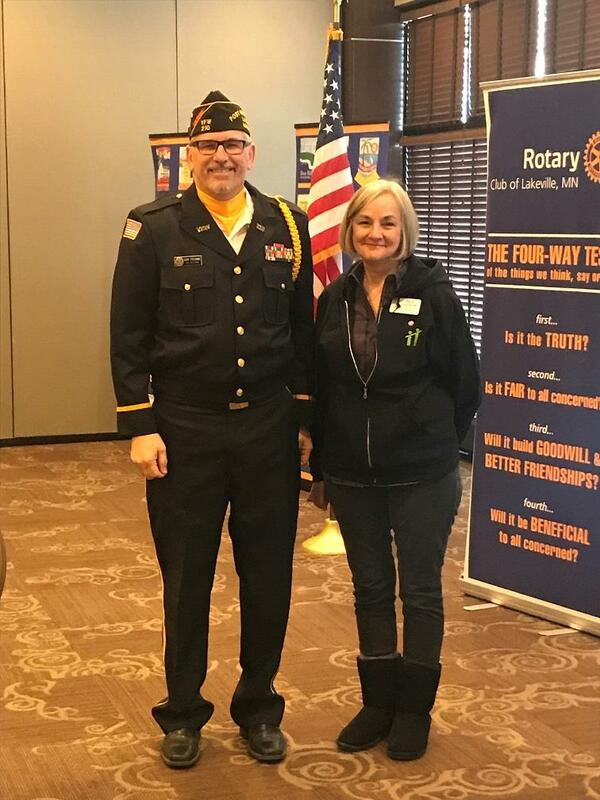 The Lakeville Rotary Club and the Lakeville Fire Department are sponsoring a joint blood drive on Thursday, April 4th, from 1:00 pm until 7:00 pm, at Fire Station #4 located at 9465 185th Street West here in Lakeville (Behind Lifetime and across the street from Century Middle School). or contact Mike Cooper at 952/500‐0862. 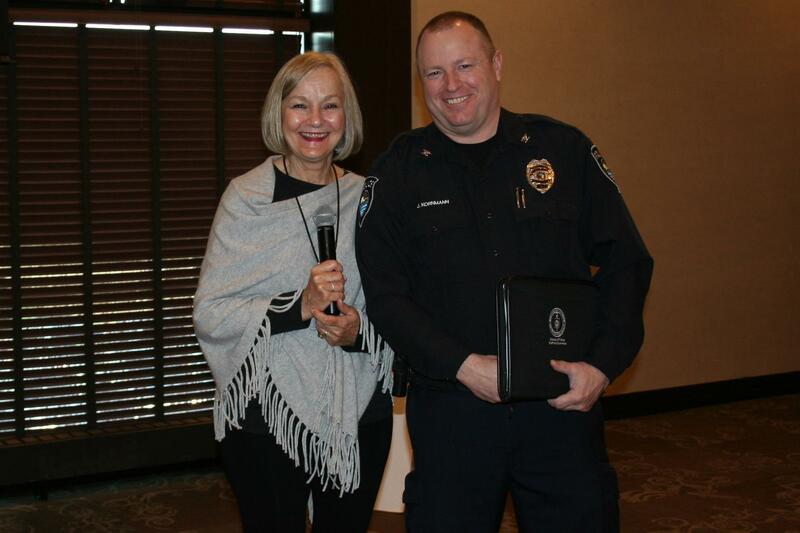 If you are unable to donate there are other ways you can help. 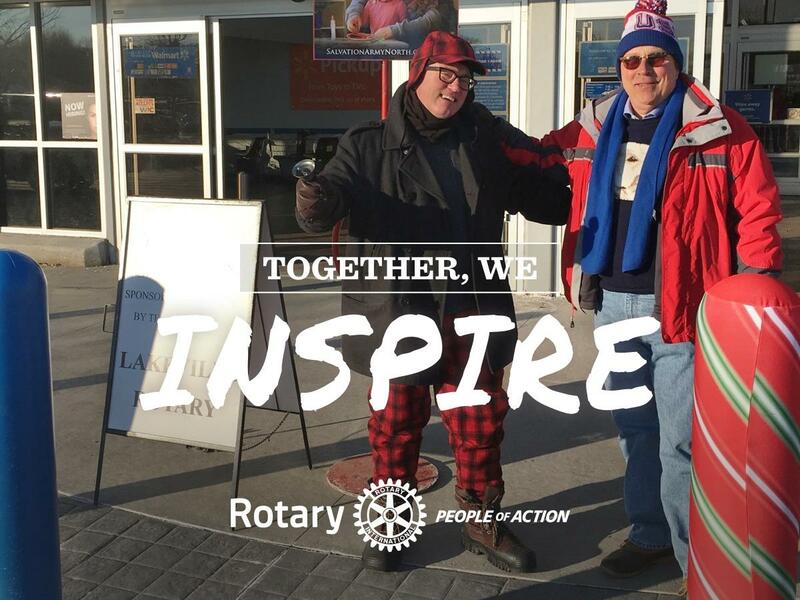 We need volunteers at the refreshment table and we especially need help promoting the blood drive. Please take flyers / posters and ask friends and relatives to participate. 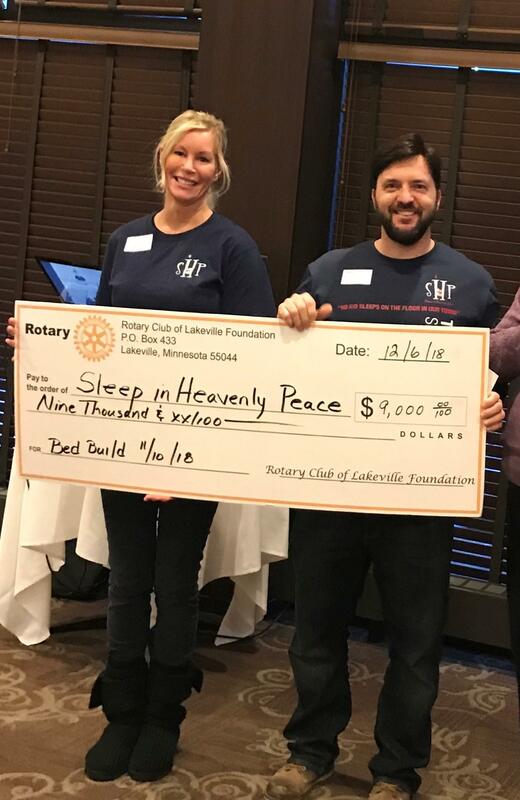 President Peg Duenow and Nancy Savstrom, Community Service Chair, presented an $9000 grant check to Sleep in Heavenly Peace for the November 10th "Bed Build." 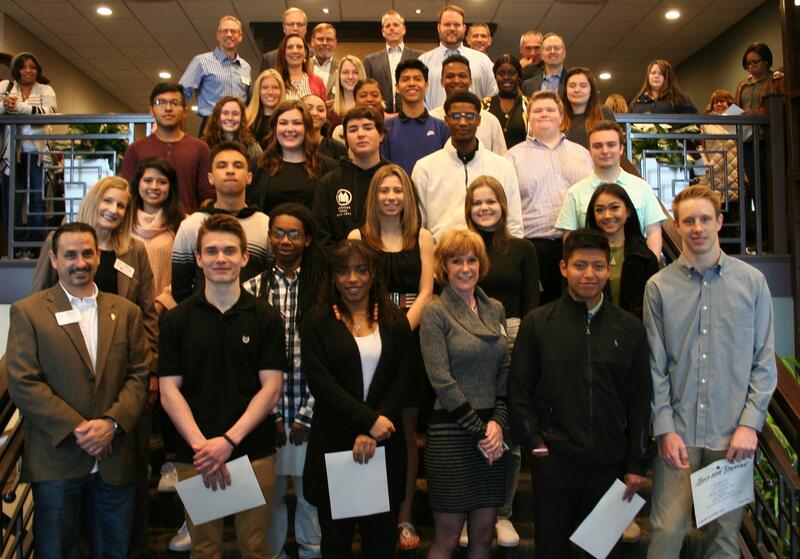 Lakeville Rotary Club sponsored 60 beds, provided linens and sent many volunteers. 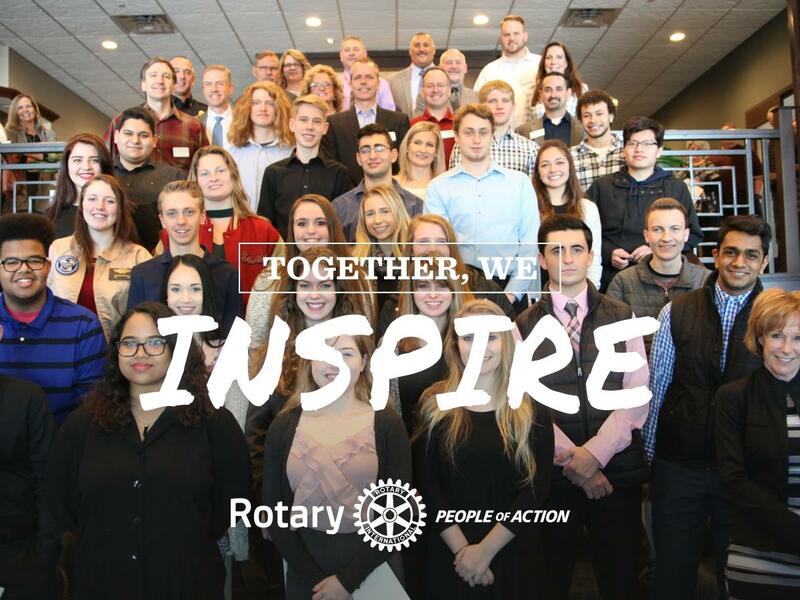 The Rotary Club of Lakeville is a network of 97 neighbors, friends, leaders, and problem-solvers who come together to make positive, lasting change in our community and abroad. Solving real problems takes real commitment and vision. 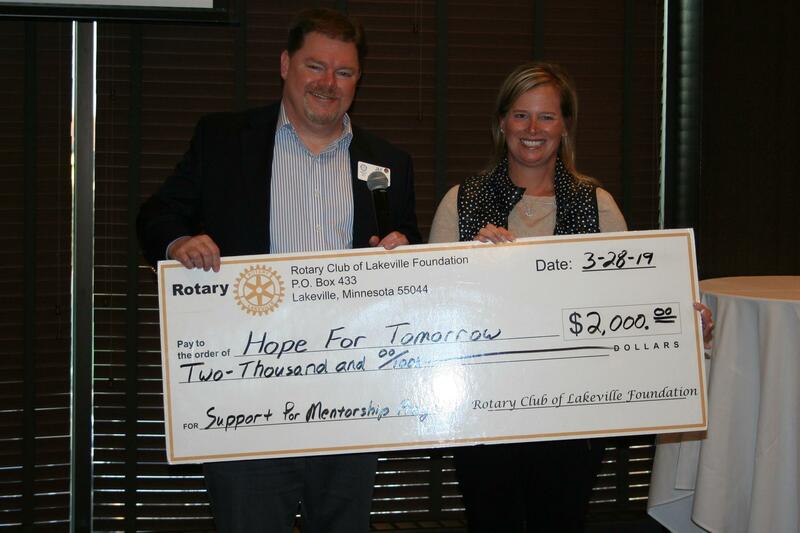 For more than 30 years, Lakeville Rotary members have used their passion, energy, and intelligence to take action on sustainable projects. 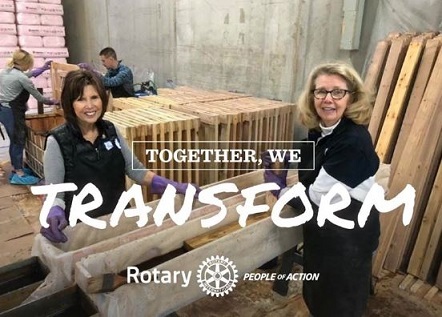 From eradicating polio and human trafficking to water and sustaining the well being of pollinators, we are always working to better our world, and we stay committed to the end.